First off Happy New year to everyone! This year is roaring in like a lion. We have a major government shutdown in process, our immigration issues are possibly coming to a head and the Mueller investigation is becoming more cloak and dagger by the minute. Meanwhile in Granby and the rest of Colorado we just get up and go to work every day, pay our bills and raise our families. There isn’t a day that goes by that I don’t shake my head about the number of idiots we have running this Country. So on to roofing matters, first I want to welcome our new board members Lacey Trokey with Black Roofing, Suzie Boyd with Academy Roofing, Alex VanSchmitt with Supreme Roofing Done Right LLC and Dennis Sowatzke with Drexel Metals. This is a great group and I am excited to work with all of them this year. The next items are some of the goals that I and some of the Board have come up with. The first is to promote and take the CRA marketing to another level. We need to make a strong statement to the consumer on what the CRA is about and promote our members to a higher level. The next goal is to begin discussions on putting together legislation for state roofing licensing or registration. This is a huge task and if we start the process now, we could be ready for early legislative session in 2020. This goal will need the support of the CRA membership. CRA has a brand-new website that launched this month. Be sure to check out the announcement below and to also reset your log-in with a quick "forget password" process in order to take advantage of our updated technology. Last, don’t forget about the CRA Trade Show on January 24th. This year we are packed with vendors and we want to make sure all your people, check in and get signed up so you receive those CIU’s that every company needs. One final BIG THANK YOU to our 2018 Sponsors! American Roofing Supply RTP Roofing Co.
We have a brand new look and updated technology in an effort to better serve all of you. Provide members with more control of their membership records by offering a cloud-based software, that empowers our members with a self-service online interface to interact with the association online from your desks and 'on the go' from any device. In order to get the most out of your member experience, you will need to create a new login. 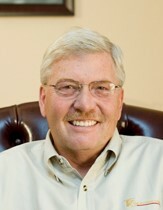 Come find out what’s new in Colorado’s roofing industry. We are holding a joint seminar between the CRA and RCI (Roofing, Waterproofing and Building Envelope Professionals) to provide an overview of Denver’s new Green Buildings Ordinance with the cool roof mandate as adopted October 29th, 2018. 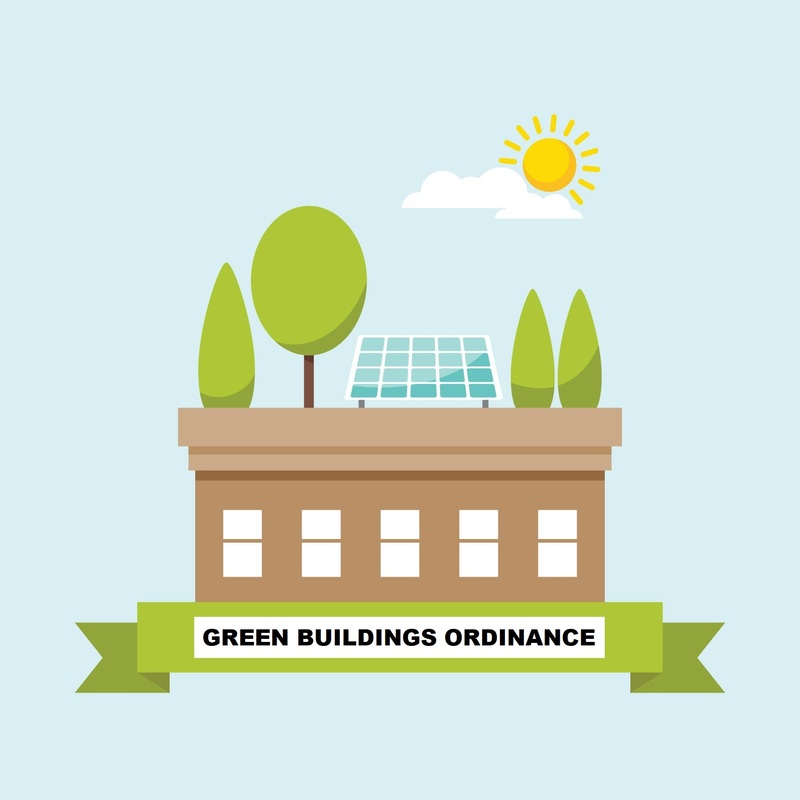 This half day seminar will provide information and resources to assist you in planning for and complying with Denver’s new Green Building Ordinance. Learn what buildings are subject to the new ordinance and what is required to meet the new law and regulations. We will have one or more officials from the City & County of Denver on hand along with several industry professionals that were part of the advisory group to the City & County of Denver and the Green Roof Review Task Force. Register to attend, by clicking on the "Register Now" link below. We are excited to invite you to our 17th Annual Celebration of the CRA Awards Dinner – an inspiring evening where we all can take the time to congratulate each other and ourselves on the difficult, complex, dangerous and exciting work we do every day! The Awards submissions have been judged and the winners selected. We are pleased about the number and variety of jobs that we continue to see each year and can’t wait to share them with you along with the accomplishments of the CRA in 2018. Corporate tables of 10 will be available for $800 and individual dinner reservations are $85. A night of honoring and sharing the exceptional “people and projects of the CRA” will be re-energizing and an inspiration to all! Mark your calendars to attend, then look for your invitation to arrive in the next couple of weeks and be sure to send back your RSVP by February 15th. CITY & COUNTY OF DENVER - Denver's Board of Public Health & Environment considered staff’s request for a public hearing and rule-making to adopt new Rules and Regulations Governing the Green Building Ordinance at their meeting on January 10th. Assuming that request was approved, the board will hold a public hearing and vote on adopting the rules at their meeting on February 14th. The final proposed rules, as submitted to the Board of Public Health & Environment can be viewed here: DRAFT Rules Governing Green Building Requirements. These are the proposed rules after incorporating all public comments received since the initial draft rules went out for public comment on October 30th. If in reviewing the rules you do catch any errors, find any items that need clarification, or have any comments, please email Katrina Managan at katrina.managan@denvergov.org as soon as possible. News Article | Green Roof Ordinance: Final rules for existing building roof replacements - Denver's Green Roof Ordinance is the only green roof initiative in North America that goes beyond new construction to include existing buildings. Click here to read full article featured in the Colorado Real Estate Journal. All installations of asphalt shingles will be required to use class 4 impact resistant shingles meeting UL 2218. For reroof projects, the quantity of shingle waste and final waste location (landfill) must be reported. See "New Roofing Requirements" for more information. The energy code window u-value will change from .32 to .30. When a trash chute is provided in new multi-family buildings, a second chute for recycling must be provided. For new multi-family buildings, 10% of all parking spaces must provide an empty conduit from the electrical room to the front of the parking space for the purpose installing electric vehicle charging equipment in the future. 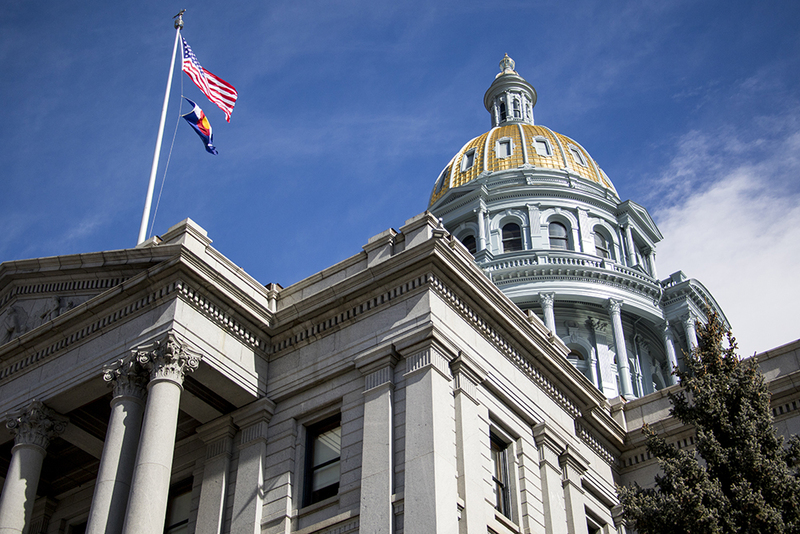 Colorado’s 2019 General Assembly convened on January 10th. We continue to monitor legislative issues at the state and local level along with public policy processes and municipal & county policy issues. This year’s session will run through May 3rd. Health care, workplace regulations, oil and gas restrictions and a lack of coherent transportation-funding solution are all things facing business leaders this year. If you are aware of any specific legislation coming up in 2019 that will affect our industry, please contact me so that we can follow and share with the membership. With your help, we can continue to work together for positive changes in the construction industry. In the meantime, consider getting involved in ‘Roofing Day in D.C.’ on April 3-4, 2019. ROOFING DAY IN D.C. 2019 | CAPITOL HILL FLY-IN | MARCH3-4, 2019 – The CRA is working with NRCA’s efforts to promote and make Roofing Day in D.C. 2019 a big success. The purpose of the event is to bring the roofing industry together to meet with members of Congress and their staffs and deliver the industry's message with "one voice." Once again, we encourage roofing contractors planning on attending to also bring one or more standout crew members to help share the industry's story. Congress needs to hear from all segments of the industry! 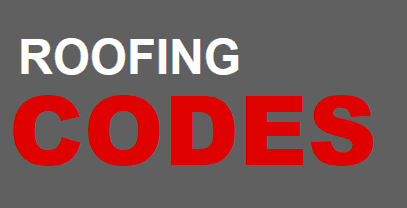 NRCA is offering a special registration rate of only $25 for roof system installers. Learn more about Roofing Day in D.C. 2019 and register to attend! I also want to mention our Spring legislative fundraiser we are holding with our partners in the Colorado Contractors Legislative Advocacy Coalition (CRA, ASA, NUCA & RMSCA). Please consider joining us on March 28th. CCC Texas Hold 'em Tournament, Politics and Poker an CCC legislative fundraising event. - Poker is a perfect an CCC legislative fundraiser. Winning is the objective, strategy is key, and there are rules to follow. Your participation will help us raise money for our legislative efforts in 2019 – funding a lobbyist, legislator and industry communication and participation in industry coalitions and organizations. Join us and try your hand at poker and politics. Thursday, March 28, 2019 from 4:30 PM to 9:00 PM. Click here for more details and to register. 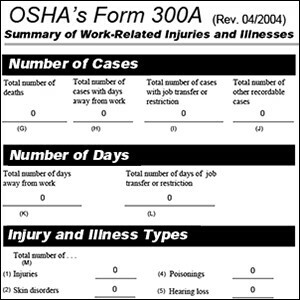 Employers Must Post 2018 Injury/Illness Summary Beginning Feb. 1 - Employers are reminded of their obligation to post a copy of OSHA's Form 300A, which summarizes job-related injuries and illnesses logged during 2018. Each year, from Feb. 1 to April 30, the summary must be displayed in a common area where notices to employees are usually posted. Businesses with 10 or fewer employees and those in certain low-hazard industries are exempt from OSHA recordkeeping and posting requirements. Visit OSHA's Recordkeeping Rule webpage for more information on recordkeeping requirements. Roofing contractor Aspen Contracting, Inc., and subcontractor J Cuellar, LLC, were cited for repeatedly failing to protect workers from fall hazards, and failing to conduct regular inspections of the worksite. J Cuellar was cited for a fall protection violation. The companies face penalties totaling $147,998. Read the news release for more information. We heard about a new app called Harness UP helping companies with their safety programs and wanted to share it with you. Harness is an app that works on any device that allows construction companies to better manage their health & safety program. We replace paper forms, track worker training, make sure equipment inspections are documented, and store important documents like SDS. Click here for more information. “SNOW DAY” RENTAL AVAILABLE – Snow has started to fly! We want to remind members that they can take advantage of our SNOW DAY rental. Do you keep failing inspections for the same reason? Do you need to work on improving a specific roofing technique, learn a new application or train a new crew? Turn your next snow day into a productive way to improve on installation techniques. 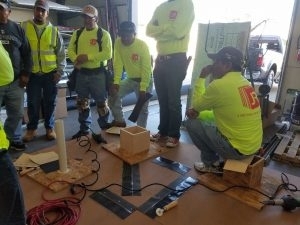 CRA’s training space offers you a ‘roofer friendly’ indoor environment with class space for up to 30 individuals. The CRA Training Center is located at 1660 Jasper Street, Unit I in Aurora, CO and is designed specifically for roofers and roofing applications. The space can be used for all types of steep and low slope materials and roofing systems. You or your foreman become the instructor. We provide the space and mock-ups and you provide your own materials, supplies, tools, etc. This is a half-day rental with time for set-up, tear-down/clean-up and is contingent on date availability. The cost to rent is $500 with a $200 refundable damage deposit. You will be required to sign a rental agreement. Contact Debbie Hathorne for more information/details. WELCOME 2 New Members(s)… F-Wave, 9221 S Burleson Blvd, Burleson, TX 76028, Ph: 888-GO-FWAVE (Manufacturer) and Lomanco, Inc., 2101 West Main St., Jacksonville, AR 72076, Ph: 303-509-0352 (Manufacturer). 2019 Standard Mileage Rate Announced -The IRS released their 2019 Standard Mileage Rate and looks that rates have changes from the IRS 2018 Standard Mileage Rate. The 2019 standard mileage rates are: 58 cents per mile driven for business use, up 3.5 cents from the rate for 2018, 20 cents per mile driven for medical or moving purposes, up 2 cents from the rate for 2018, and 14 cents per mile driven in service of charitable organizations. You can learn more in the table below. Click here for more information. Now Hiring! - Full Time Administrative Assistant for a Roofing Manufacturing Company, Commerce City, CO 80022. Send resume to: Info@unitedasphalts.com.